An exclusive private golf club north of Auckland, Tara Iti was designed by Tom Doak and set alongside a spotless surf beach near the small town of Mangawhai. The project was developed by Californian financier Ric Kayne, and took several years to complete due to complicated planning and regulatory challenges. The golf course site is home to one of the last remaining colonies of the Fairy Tern, also known as the Tara Iti, which is New Zealand’s most endangered native breeding bird. To Kayne’s great credit, he not only appeased the valid concerns of the environmental lobby here, he embraced the perseveration cause and was able to enhance the habitat for these precious birds. The delays may have been unwelcome at the time, but they were necessary and his course was certainly worth the wait. 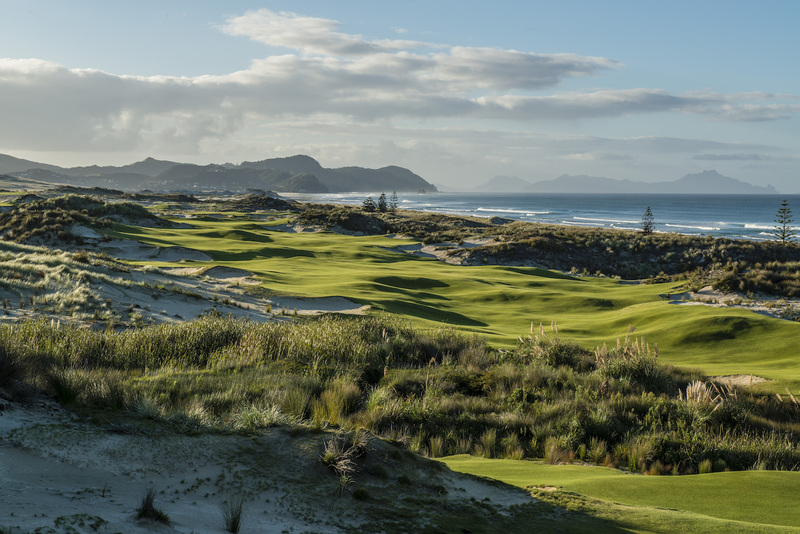 What makes Tara Iti so special, is the pristine dunes upon which most of the holes are set and the constant views out toward Bream Bay and the iconic Great Barrier, and Hen and Chicken islands. Golf doesn’t get right down along the shoreline like it does at some of the other seaside modern masterpieces, but as with a course like Kingsbarns in Scotland the canvas leans gently toward the water ensuring it is part of the aesthetic experience the entire way around. Interestingly, when Doak first set foot on the property the coastline was completely hidden by a dense and overgrown pine plantation, that had not only robbed the site of any biodiversity it had, in fact, provided shelter for predators of the rare birds. The removal of these trees was not only a blessing for the fairy tern’s, whose population has since increased; it was a major boon for golfers as well. 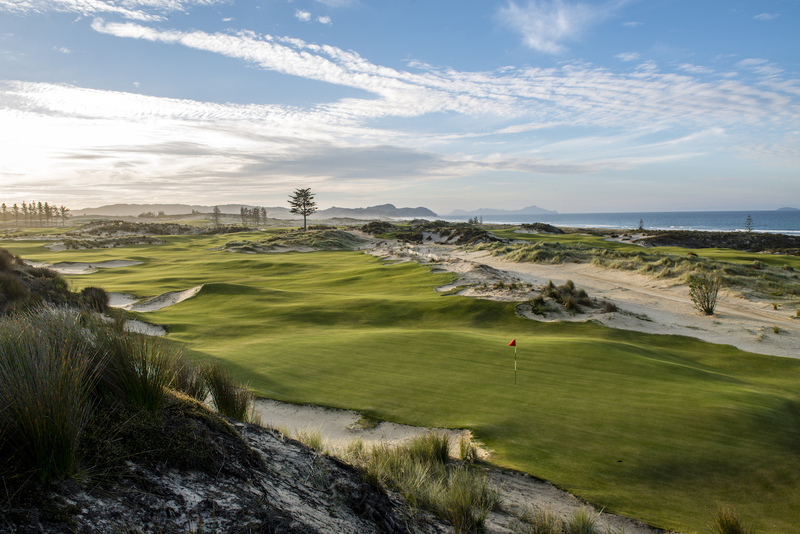 From both the golf course and the elevated clubhouse we get to enjoy some of the most glorious coastal outlooks in New Zealand. 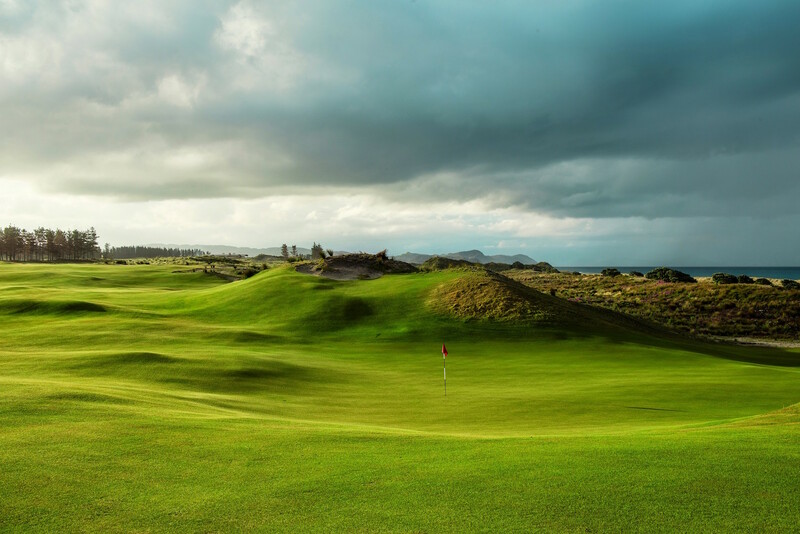 Throughout the round, the overwhelming sense at Tara Iti is of playing a course with a distinct character and personality. There isn’t anything else quite like this in golf. Not only are holes dominated by vast expanses of white sand, they are mostly designed with enormous fescue fairways and distinct safe/aggressive shot options. The dune vegetation is indigenous to this region and Doak’s team did well to marry the immaculate dunes with enough plant life to provide color and contrast but not unplayability. Most stray shots invariably end in the sand, but though it’s easy to make bogeys here it is very difficult to lose balls. Beyond the sand, the sea views and expansive landing areas, the other feature of this course are its greens. A number are either totally or partly set within dune hollows, while many others are built with severe internal contours or steep pitches. From the very first hole you are on alert, that any shot played with the wrong club or to the wrong section of green will leave you an awkward, if not impossible, recovery. Some might regard the targets as overcooked, but the purpose of private course golf is repeat play, and Doak’s greens would be difficult to tire of or to completely understand from all approach angles and to each and every pin position. Although the back nine is very strong, the front is unquestionably the premier side and home to the best couple of holes on the course. The first gem is the par four 3rd, its dell green wedged in a deep depression between a pair of opposing dunes. Feeding your ball off the higher right shoulder and down toward sunken pins is a genuine pleasure and, crucially, within the capabilities of most golfers. The other obvious standout is the drivable 7th, set obliquely between ridges and with the smallest, and nastiest, green that Doak has ever built. Other quality holes on the front side include the par five 5th, the angled and wildly contoured par four 6th and the two-shot 8th. Aside from a brief climb into an awkward upland area, the back nine has an equally coherent, fun feel to the front and houses several highlight greens, such as the semi-sunken par three 10th, the away-angled 14th and false-fronted 16th. The two late par threes both enjoy glorious water views and are particularly demanding when the wind is blowing. The 17th green might be even harder to hit and hold than the 7th. 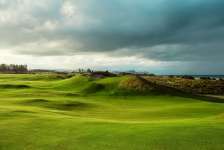 Though the most spectacular holes at Tara Iti are less dramatic than those at Cape Kidnappers, the overall scenic vibe is a little stronger than at Doak’s earlier Kiwi creation. The architecture and general club ambience are also superb. 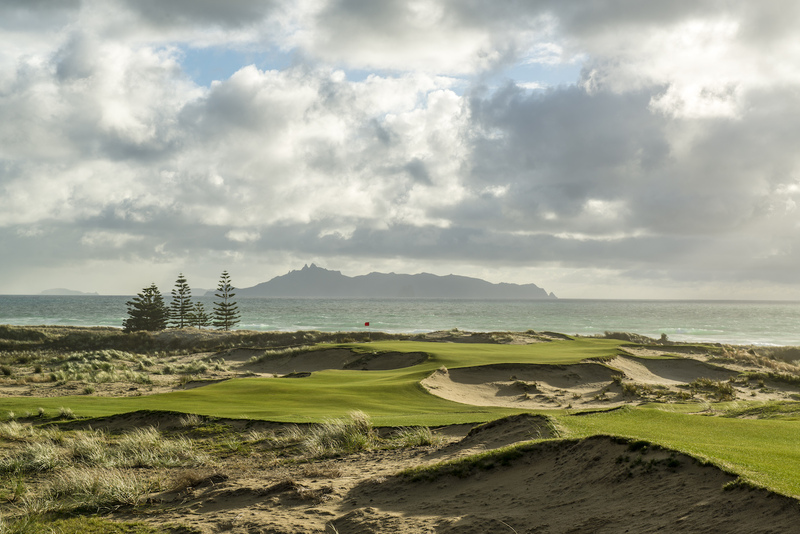 It won’t fit within everyone’s golfing budget, but those looking at New Zealand for their fix of high-end private club golf, and able to afford the Tara Iti fees, are almost certain to fall in love with the place.